Are you ready to move faster, save money, and integrate on-premises apps and data? It's time to migrate toward the world of Microsoft Azure Cloud! To better prepare our students to conquer the Azure Cloud solution, Fast Lane is proud to offer dedicated training options that can help you develop, implement, and architect Azure Cloud solutions. Fast Lane can bring any Microsoft Cloud Workshop to your location. Each Cloud Workshop is one day in length, and taught by an expert facilitator engaging the attendees to collaboratively work together on the workshop project. 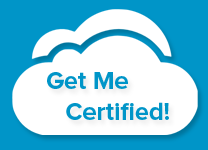 Interested in become an Azure-certified professional? Check out our new role-based certification paths! Learn how to take the next step in your Microsoft journey with our developer, administrator and/or solutions architect paths!